Gurpreet has assisted my husband and I to sell and purchase a home. 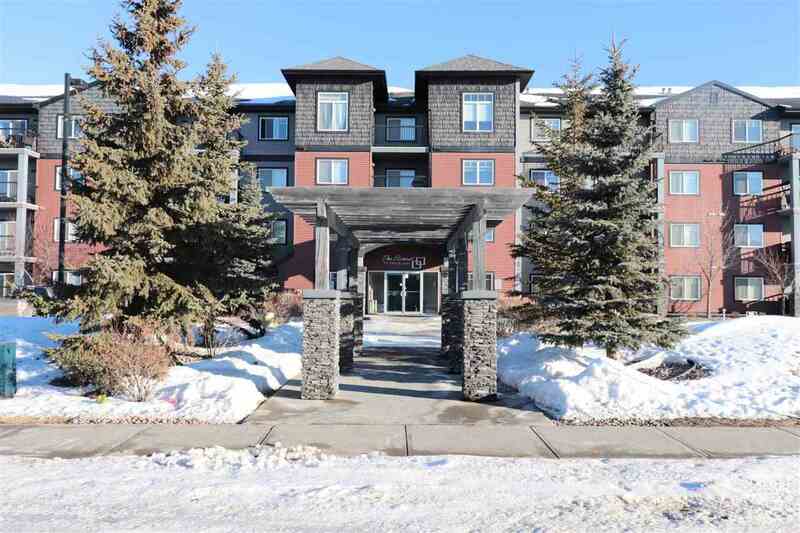 The most recent transaction was the sale of a home in Sherwood Park. Gurpreet is very efficient, professional, and ensured that we maximized our profit from the sale. Gurpreet is extremely thorough and ensured that the sale went smoothly. We recommend Gurpreet to anyone who is interested in buying or selling a home. I think he will help you find a place you can live with not live to regret. Mr. Gurpreet came across a thorough professional with good in-depth knowledge of the industry. He was always on time and was completely patient with us during our 4 month long search for a property. We ended up buying a house through him and got full support throughout. Would definitely recommend him to others. My family of six moved to Leduc in the summer of 2013 after over a year of waiting to see if my husband would transfer here. I contacted Gurpreet through a website that I found and had him searching for our perfect home for just over a year. He sent me updated listings and waited for my call to say we were on our way! Once we sold our own home, we met with Gurpreet and he showed us many homes over the course of 2 days. On our last day, he took us for lunch and we discussed our next move. We hadn't found a home. Then, a home with exactly what we needed and wanted came on the market. We were the first to see it and we were the first offer! It was so exciting. Gurpreet was happy for us and made us feel that he would go above and beyond expectation to find the perfect home for us. We would highly recommend Gurpreet as your real estate agent. Mr. Gurpreet assisted us in finding our first home and words cannot express how grateful we are for his patience, guidance and advice. Mr. Gurpreet was always ready to show us homes we narrowed down and it was a tough battle for us to find the 'perfect' home. However, Mr. Gurpreet was always ready to show us yet another home after home irrespective; and always had a smile - despite all odds. His exceptional qualities made us feel more comfortable and are indeed impressed with all the time devoted to us during our first experience in purchasing our home. Mr. Gurpreet was extremely prompt and would schedule viewings as soon as possible.We would like to take this opportunity to thank Mr. Gurpreet for assisting us in the purchase of our beautiful home and would definitely recommend him to all. I had a very good experience with your service. I felt understood. I had the impression of being supported by my own family , because I was not pushed while looking my perfect house , no pressure, and you always asked me to take my time. It's been a very good experience and I know I have referred you to my friends because I wanted them to feel the same way I did. I'm planning to sell and buy a bigger house in 2 years if God allows me. It's will be my pleasure to work with you again at that point of time. To conclude, I will say, my friends who bought houses from other people don't have the same experience that we have and they are always surprised when we told them we received a call from you, that you wanted to see if everything were going ok. It's a blessing . We feel like we are part of a family . The experience of buying home with Gurpreet was awesome! He gave honest advice and the service was fantastic! I would definitely recommend him. My fiance and I were in the process of searching for our first home together when we met Gurpreet. His professional manner, knowledge and expertise of the housing market was very appreciated. Gurpreet went above and beyond and we will definitely request his service in the future and would recommend him to all our family and friends. Gurpreet is a true client representative first and foremost; he has always put his clients' best interests at the forefront of the viewing experience. He is very honest and upfront about properties we have viewed together and whether it would fit my needs or not. His knowledge of form and function helped me in my decision to purchase the house that fulfilled all of my requirements, and then some. Working with him makes the buying experience truly an enjoyable experience. He has helped me with the post-buying experience as well, bridging gaps of understanding between the builder and myself, in terms of our mutual responsibilities, in a respectful and amicable manner. I would highly recommend Gurpreet as a trustworthy realtor. In the spring of 2014 we decided it was time to buy a home for our family. we contacted Gurpreet & he started the house hunt for us after discussing the house layout & location we desired. we looked at several homes before he found the house that met all our needs. our deal went rather smoothly with a few hiccups that Guirpreet was quick to settle the issues. We have nothing but great things to say about Gurpreet. He is very professional. he always kept in contact during our search & once our purchase was in progress made sure all conditions were satisfied. I would strongly recommend him to anyone & would definitely use him again. Gurpreet really made my home buying experience as easy and stress-free as possible. As a first time home buyer I had a lot of questions and not only did he answer all of them, but he helped me gain insight to the entire home buying process. He showed patience at every one of the countless showings, and whenever I asked him for his opinion, he gave full honestly and showed a high knowledge of investing in a property. At all times his service was quick and efficient, and he had no problem working around my schedule. Although I know he had other clients, his excellent service always made me feel like I was top priority. I always felt extremely comfortable discussing my thoughts or doubts with him as he provided me with all the knowledge I needed to make the best decision. His unbiased opinion was always clearly based on my best interests and I valued his input. Overall, I was extremely satisfied with his service and highly recommend him. I just bought a new home last month and Gurpreet helped me with the entire process. He is the most knowledgeable and patient relator I have had the good fortune of working with. He completely understands the market and always offers his honest opinion. Home buying can be stressful but when I started searching for a home with Gurpreet it became evident that I was with the right relator, he is not at all pushy and you will never feel that he is trying to convince you make the sale. Gurpreet was an excellent representative and realtor. He was patient and always available when I wanted to see a property, day or night. He was quick to point out any shortfalls within a house I viewed which tells me he is more interested in satisfying his client and finding the right house as opposed to closing a quick deal. I would certainly recommend Gurpreet to any prospective buyer. A real gentleman. Gupreet Ghatehora is an extremely reliable and professional realtor.Gupreet made the entire selling process a breeze.He is always available to answer any questions i had, and he worked very hard in getting me the best price for our house. I highly recommend Gurpreet. Gurpreet is a Excellent Realtor. We used him for selling and buying of our home. He is very Patient, Professional, knowledgeable,helpful and trustworthy. He always gave us honest opinions regarding buying a home. He was always available for our questions. We would recommend him to all our family and friends. We purchased our 1st home with Gurpreet just a week ago! we didn't know anything about the process and we had the best experience with him. He was always available for us he explained everything and the knowledge and experience he has was amazing. Apart from his experience, we discovered an excellent person who will help you to find the right house for you not just the most expensive..he will tell you exactly why a house is good or not for you, it doesn't matter the price (always in your range). I would highly recommend Gurpreet to every person that is in the process of finding a new home. Thanks Gurpreet for all you have done for us! Gurpreet Ghatehora is a very honest and easy to work with individual. He is honest with his opinion and does not oversell. It was a pleasure to work with him. I would have given this person many more stars but I do not have that option. He has been showing many houses for the past 20 months extremely courteously and professionally. I think I may have been his longest customer. He appears to ...MoreI would have given this person many more stars but I do not have that option. He has been showing many houses for the past 20 months extremely courteously and professionally. I think I may have been his longest customer. He appears to be very knowledgeable and provides excellent advice and opinion regarding the various houses we saw. I was never pushed into buying and that was reflected in his everlasting patience. He was very generous and courteous picking me up from my home showing me all the houses and then drop me home. This went on for at least 20 months. It goes without saying I would recommend this man and this man only to everybody. We finally found a home and the entire deal was conducted with highly professional and ethical manner. I must say that I did not know him prior to him showing me the houses. What I don't remember is how we landed up together. I think that was the best thing ever happened to me. I'm very grateful and thankful to Gurpreet that I have this home now. Three years ago, Gurpreet helped find a home for myself. Time was rather critical for me. Gurpreet was found exactly what I was looking for, in the price range that I needed. Most important, he was there for me throughout the negotiations more than I had expected. Just recently, I looked to Gurpreet to help sell my home. He most certainly did not disappoint. No matter the time of day (or night for that matter), Gurpreet displayed the professionalism and effectiveness that makes me recommend him to all my friends and colleagues. Gurpreet is fast, efficient, and a very hard worker. I was kept up to date, and informed about all phases of the sale. I could not ask for a better person to assist me this way. If anyone is looking for a agent, look no further. Gurpreet knows his business, and will treat you like the friend you will need. Thank you Gurpreet. We bought our home through Gurpreet. In each stage of the buying process, he helped us to make informed decisions; truly represented us to the builders and did good negotiations . He tried to answer all our questions and even stupid doubts with patience - never even missed a single phone call from us ! Very committed, trusted realtor having excellent understanding on current market trends and in the whole buying process. Gurpreet...Thank you very much for being a trusted partner of us!! My experience was very good, Gurpreet made it a very good experience and with any questions I had he was able to provide information on and give me references for lawyers, home inspector ect. to complete the home buying process. very ...More My experience was very good, Gurpreet made it a very good experience and with any questions I had he was able to provide information on and give me references for lawyers, home inspector ect. to complete the home buying process. very positive experience and wouldn't hesitate to use him again. Gurpreet, was wonderful to work with. He helped me get my new home and made the experience less stressful. I would recommend Gurpreet anytime to all my friends who need a experienced knowledgeable realtor who looks after your best interests! Gurpreet went above and beyond in assisting us in our finding and purchase of our home. Would highly recommend him for anyone looking for their dream home. After changing 2 agents, we came across Gurpreet. Even today we believe that we were fortunate to get him. He is honest, dedicated to his work and sincerely tried to find our dream home. When we reject some home after he shows that to us, Gurpreet never shows any discomfort. His never give up attitude really resolved the problem and finally we find our dream home. I recommend him as a true, honest and transparent real estate agent to anybody who is searching for his dream home. Excellent realtor ..I do really recommend Gurpreet as Realtor..everything was inform well to us.. So Professional Dealing with us ..Thank you so much..
Gurpreet is a very friendly and knowledgeable person. He has excellent communication skills and my wife and I would recommend him to anyone. Gurpreet is the type of realtor that I recommend because everything with my sale was hassle free for me. Gurpreet took care of everything. If I decide to buy again in Edmonton Gurpreet will be my number one choice for realtor. Gurpreet is a very intellect and understanding person. He has now become a friend of ours. " Gurpreet Ghatehora is an outstanding realtor and person. I met Gurpreet by chance when I requested to see my first property a year and a half ago and little did I know that I was meeting such an exceptional realtor. Gurpreet had shown me over 80 properties during that time. I have just found a property that was the right fit thanks to Gurpreet. He was always available, punctual, well prepared, and gave honest and sincere advice on the features of each condo. He never put his interests ahead of mine. Furthermore, he is trustworthy, thorough and a hard worker. I recommend Gurpreet highly and wish him much success in life and in his business! I purchased my first home from Gurpreet two years ago. His experience and knowledge is exceptional!. He answered all of my questions and help me every step of the way. Gurpreet worked diligently to find the best affordable home and location for me! Excellent Realtor. Provided lots of advice,was always available and helped us find the perfect home. Gurpreet, was absolutely fabulous. He made my first home buying experience a great thing. I would highly recommend him to anyone. Very responsive to what your needs are. goes above and beyond to meet them. Thank you Gurpreet for everything. Gurpreet is just wonderful! I would highly recommend him to anyone. We didn't know anything about the process and we had the best experience with him. He worked very hard in getting us the best price for our house. He explained everything to us and the knowledge and experience he has was amazing. He will tell you exactly why a house is good or not, and if you can easily sell that house in the future or not that easy. He was very patient and helped us in all aspects. His professional manner, knowledge and expertise of the housing market was very appreciated. I would highly recommend Gurpreet to every person that is in the process of finding a new home. Thanks Gurpreet for all you have done for us! I am a first time home buyer and couldn't of asked for a better real estate agent to help me find my perfect home. Gurpreet helped me with my search and saw numerous homes with me and offered his honest opinions throughout. He was so honest, kind and supportive throughout the whole process. I now have lived in my new home for a month and couldn't be happier thanks to Gurpreet for all his help. I can truly say I have made a great new friend and highly recommend using Gurpreet for all your real estate needs!!!! Gurpreet is a gem amongst realtors. We love our new home and the neighbourhood is perfect for us. Gurpreet was so patient. Our circumstances needed a flexible realtor. Gurpreet never once was annoyed with changes to appointment's that were beyond our control. 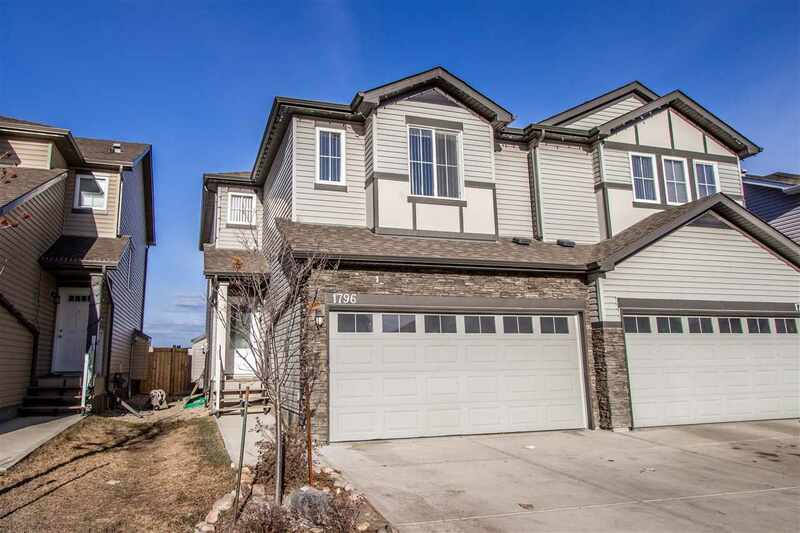 Thank you Gurpreet for your encouragement and guidance in picking our new home.You were always on time and organized, the details for the sale went seamlessly. We always felt that you were looking out for us, and had our interests first and foremost. if you are looking for a professional, knowledgeable, and skilled realtor, Gurpreet is your man. Gurpreet is incredibly responsive, tenacious, and thorough—and I never would have had a chance at getting my terrific new house without him! Gurpreet is just wonderful! I simply cannot say enough about how positive my experience was with Gurpeet. Incredibly knowledgable, patient, easy to talk to and genuinely interested in helping me find the right home. I always felt at ease with Gurpreet. He went out of his way to assist me throughout the entire home buying process and never made me feel pressured to make a decision – that was incredibly important to me as I was a first-time home buyer and very unsure of what to do. The absolute BEST thing about Gurpreet, though, is that he is super flexible and really goes above and beyond to serve his clients throughout the entire process and even after you move into your new house. He arranged for the house inspection and was there when I was having roubles figuring out the furnace issues. Now that’s dedication! I promise, you won’t be disappointed. Thanks Gurpreet!